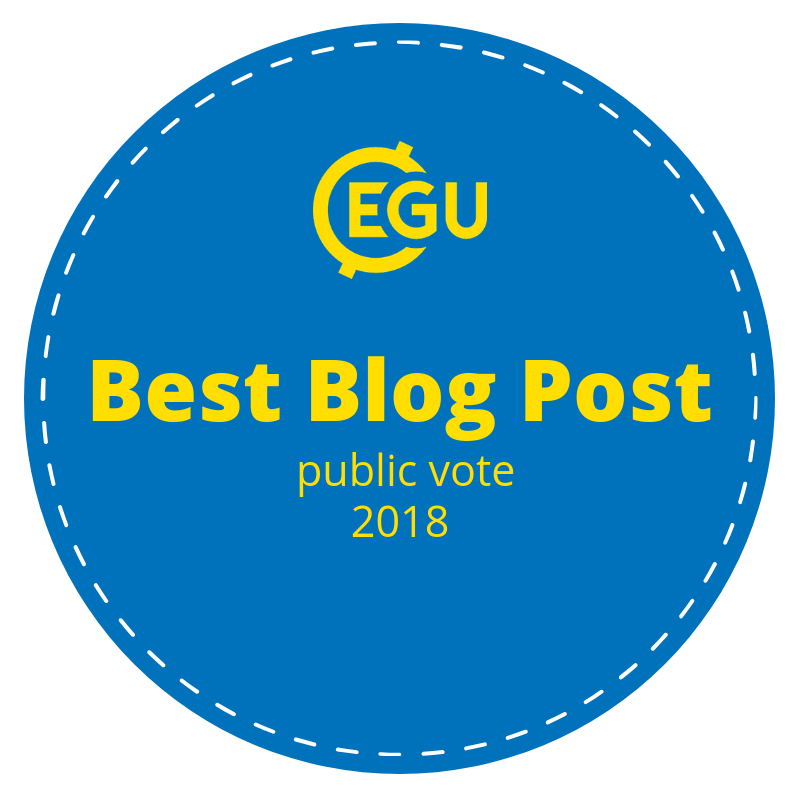 The European Geosciences Union (EGU) General Assembly 2018 took place in Vienna, Austria, from 8–13 April 2018 and brought together geoscientists from all over the world to one meeting covering all disciplines of the Earth, planetary and space sciences. 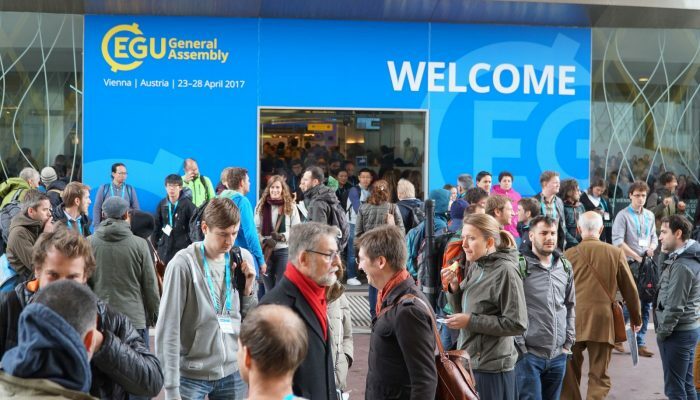 If you are an early career research, convening a session at the EGU General Assembly can seem intimidating, especially if you are a first-time convener. However, continued education and keeping up with academic trends is a key focus at EGU General Assembly. After a short discussion with Susanne Buiter — chair of the EGU Programme Committee — I had the opportunity of convening a session for the first time. 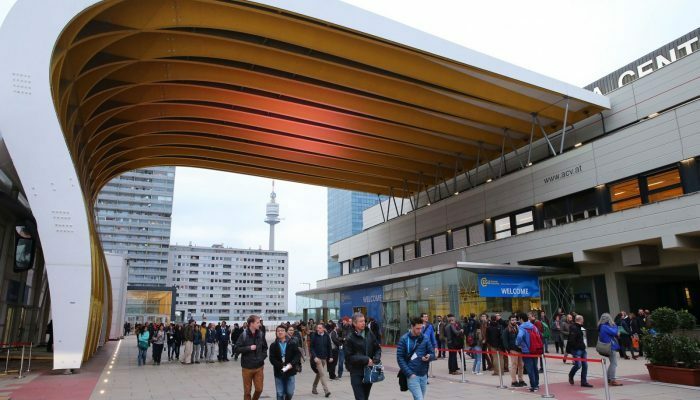 Initially, the session programme defined how the EGU General Assembly was organised. It consisted of sessions representing all programme groups of each Division. From there, a skeleton programme was created, based on the programme of previous years, so that each Division had a few sessions in it to kick things off. When the call for sessions was open – usually over the summer preceding the conference – I suggested a new session, by proposing a title, someone to co-convene the session and providing a session description. Once the call closed, the president of each Division evaluated the proposed sessions and decided if they should be included in the programme. They might also suggest modifications to skeleton sessions. Specifically, I indicated that I’d like my session to be co-organised with another Division. My request for a cross Division collaboration was accepted by all relevant chairs. Overall, I was impressed by the fact that the EGU General Assembly continues to grow. In 2018, more than 15,000 scientists from over 100 countries participated in it. More than half of these were under the age of 35. But more importantly, the Geodynamic Division (GD) made an impact at the event not just through posters and presentations. There was ample evidence that the Division output continues to be held in very high regard by other scientists. For me, convening a session at EGU was an important task in bringing people together for networking, starting new projects, and discussing new ideas. And I would like to continue to contribute to making that possible even in the future. The key ingredients are an idea for a session, a couple of co-conveners and a good session description. The EGU General Assembly serves the geosciences community, through enabling networking, discussions and information sharing. Also, I believe that the meeting is very important for outreach and education as well, through short courses for examples, which are for all participants. View of Singapore from 1-Altitude skyscraper. Excite, engage, enable. These three words were the driving mission behind the gathering of over 250 PhD and postdoctoral fellows at the Global Young Scientists Summit (GYSS) in Singapore. In January 2018, Thomas Schutzius, Michael Zumstein, Daniel Sutter, and I had the distinct pleasure of representing the Swiss Federal Institute of Technology (ETH Zürich) at this year’s summit. The GYSS is a multi-disciplinary summit, covering topics ranging from chemistry, physics and medicine to mathematics, computer science and engineering. With its theme “Advancing Science, Creating Technologies for a Better World”, GYSS focuses on key areas in science, research, technology innovation, and society, as well as their solutions to tackle global challenges. The speakers invited to the GYSS are globally-recognised scientific leaders, who are recipients of prestigious awards: the Fields Medal, Millennium Technology Prize, Nobel Prize, and Turing Award. They gave lectures and talks, and held discussions both with summit participants and also the public. During the summit, anyone could come across these extraordinary scientists at various venues such as the National University of Singapore, the National Library and the Science Centre Singapore. One of my main takeaways from the conference is that the boundaries between the fields are blurring. This encouraged participants to ask more questions, even in fields they were not experts in. Indeed, they were not shy about doing this. I have also observed how more and more researchers are studying and working in Asia—just another sign of the times. “I love the creativity, enthusiasm, and optimism of young scientists. It gives me energy!”, says Frances Arnold who was awarded the 2016 Millennium Technology Prize (MTP) for her innovations of directed evolution and efficient methods for creating enzymes. Stuart Parkin, the 2014 MTP winner for multiplying information storage capacity and enabling Big Data, finds the fresh way of thinking of the young generation of scientists especially interesting. “Meeting young scientists is always very stimulating since they often think differently from scientists and researchers later in their career who perhaps become too aligned with the dogma of the research establishment”, professor Parkin says. Stuart Parkin, Millennium Technology Prize (2014). Credit: National Research Foundation. I am tremendously grateful for having been given the chance to represent the Swiss Federal Institute of Technology (ETH Zürich) at the Global Young Scientists Summit (GYSS) 2018. I would describe attending the GYSS as a once-in-a-PhD opportunity, if not a once-in-a-lifetime opportunity. The week-long event is highly interdisciplinary—covering a range of topics from medicine to engineering and biology to physics. Moreover, the poster session is designed to bring together ideas and researchers from different fields. It provided me with an exciting opportunity to share broader insights from my PhD with researchers outside of geophysics. Singapore needs all the talent it can get, especially as companies and universities invest in new technologies and spread their wings abroad. I certainly had several scientists whom I much admired and respected—mostly those who really were interested in understanding the fundamental workings of nature and not those who rather treated science and research more as a career path. 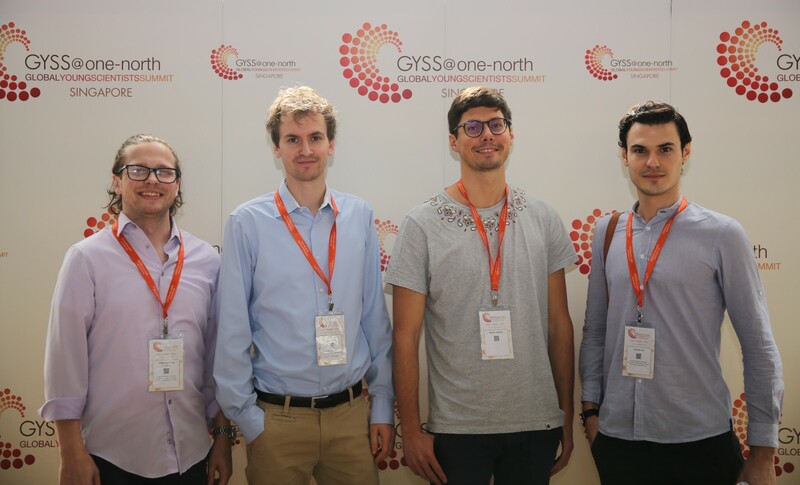 ETH delegation at GYSS 2018, from left to right: Thomas Schutzius, Daniel Sutter, Michael Zumstein and Luca Dal Zilio. Credit: National Research Foundation. Singapore is much more than the sum of its numerous attractions. It’s constantly evolving, reinventing, and reimagining itself, especially with people who are passionate about creating new possibilities. It’s where foodies, explorers, collectors, action seekers, culture shapers, and socialisers meet and new experiences are created every day. 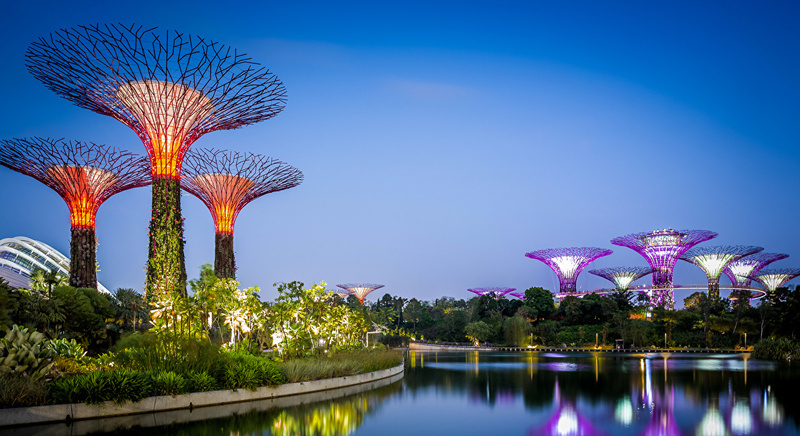 Although small in physical space (the country is about half the size of Los Angeles), Singapore offers large opportunities for high quality research set on a breathtaking tropical island with a bustling metropolitan area. Whether I was navigating the crowds in Chinatown, exploring Hindu temples in Little India, eating diverse cuisines in a local hawker center or relaxing in the Chinese Garden, this beautiful island provided exciting adventures every day. Solar supertrees are vertical gardens in Gardens by the Bay in Singapore, which are designed to mimic the ecological functions of real trees. Each structure is outfitted with an array of photovoltaic cells that collect and store solar energy throughout the day – power that’s used to illuminate the garden when the sun goes down each night. I have immersed myself in a society with very different cultural norms and rules from my own. By witnessing the functionality of many of Singapore’s well-known programs, such as the housing development board and water treatment plant, we were enabled to expand our views of what a successful society can be. 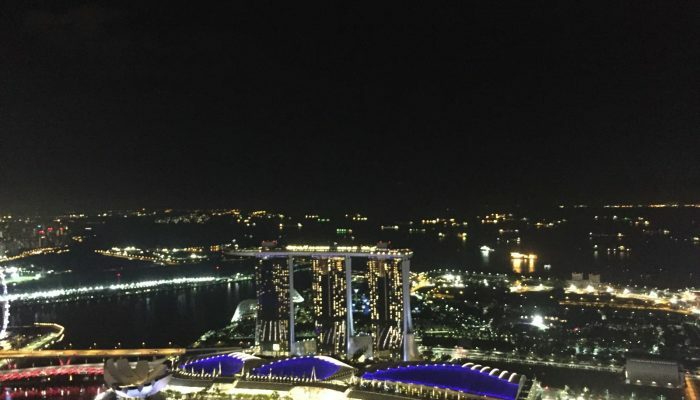 Upon returning from GYSS 2018 in Singapore, I have gained a refreshing new perspective on what it means to be a part of the international scientific community. My time in Singapore reminds me of the beautiful unity we all share: to further the progress of humanity and better our global society. Through its fundamental research and implementations, Singapore is an excellent example of how scientific innovations can be integrated for the welfare of society. 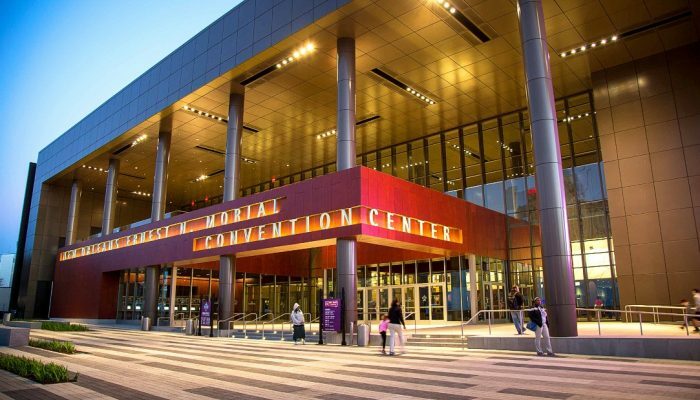 The largest Earth and Space science meeting in the world is taking place in New Orleans, Louisiana. As usual, once a year AGU gathers the best and brightest minds from around the globe in the pursuit of high quality science, knowledge, and a more sustainable future. In particular, AGU allows to share your science, advance your career, and gain visibility and recognition for your own scientific efforts alongside the world’s leading scientific minds. 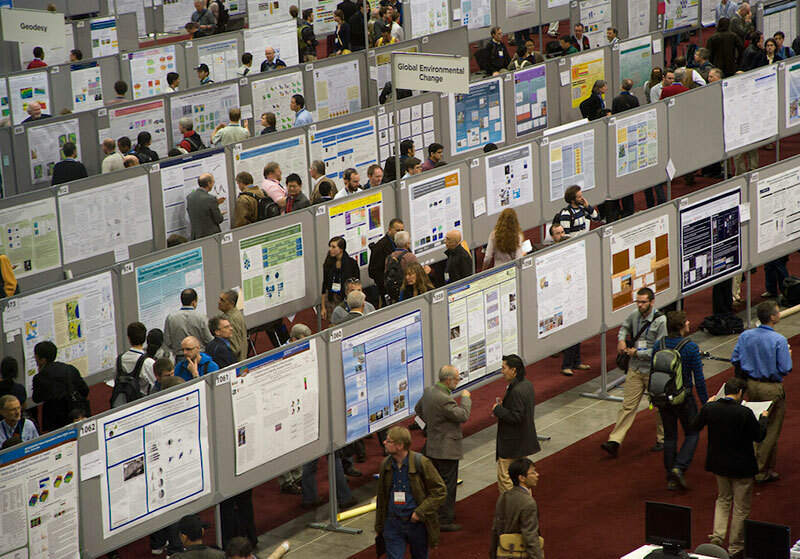 With more than 20,000 oral and poster presentations, scientists can get the latest in groundbreaking research from every field and gain inspiration for your own work. This fall meeting is a great way for early-career professionals to make connections. Not only are attendees exposed to thousands of presentations filled with emerging science and new research, but they have the opportunity to attend countless events and workshops that can equip them with the right tools to build a sustainable career. Presenters get constructive feedback in real time from experts and established scientists in the field. Presenting is a great way to test-drive your research before publishing in a peer-reviewed journal. French Quarter by night. One of the great things about the French Quarter is that it sits beside the mississippi river, which turns out is beautiful at night! But not only that! This meeting gives the opportunity to explore the city’s world-famous French Quarter, Jackson Square, and Saint Louis Cathedral. New Orleans is the birthplace of jazz and a mecca for gospel, the rock and pop we love today. 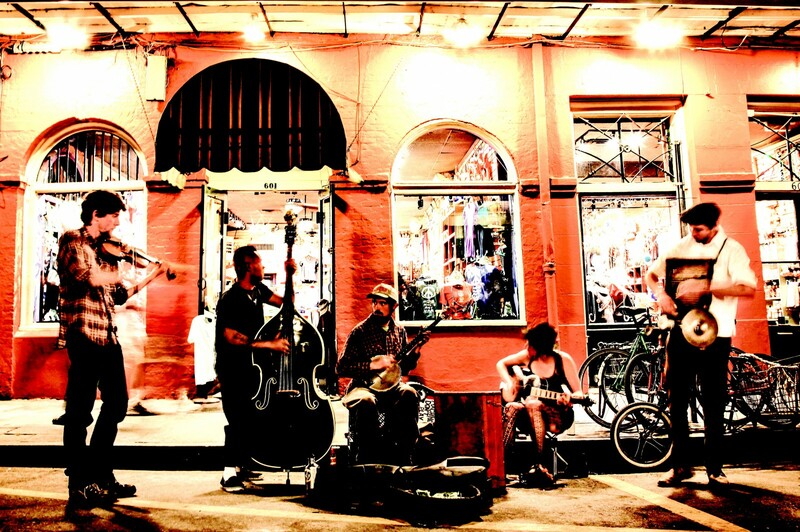 Strolling through the French Quarter you can enjoy many live music performances ranging from swanky lounges to tiny honky-tonks – enjoy! Subduction zones host one of the most complex and fascinating tectonic systems on the planet. 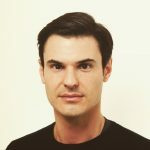 Numerical models by Király and colleagues recently published in Earth and Planetary Science Letters reveal that the strength of the toroidal flow depends on the mantle viscosity and the magnitude of the slab pull force while the characteristic size of the toroidal cells mainly depends on the size of the convecting mantle. 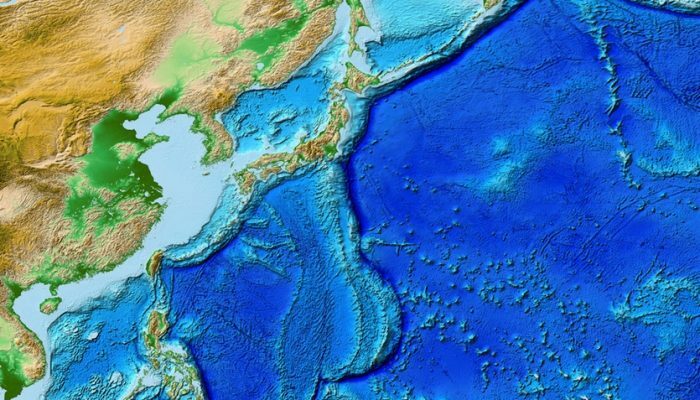 The motion of Earth’s tectonic plates—the lithosphere—is driven by the subduction of relatively cold and dense oceanic plates into the mantle. Subduction zones are some of the most striking features on Earth. They represent one of the two types of convergent plate boundaries, in which one tectonic plate sinks underneath another one into the Earth’s mantle. The resulting forces induce mantle flow around the subducting plate, but the manner in which this happens is still a matter of debate. Below the tectonic plates, the mantle moves in a slow and unseen manner—as cold slabs sink, hot upwellings rise, and convection slowly rids the Earth’s interior of its primordial heat. Much of our knowledge of mantle flow patterns is indirect, inferred from geodynamical models or seismic tomography images. Seismological and geochemical investigations suggest 3D subduction-induced mantle flow around lateral slab edges from the sub-slab zone towards the mantle wedge. Such flow has also been observed in laboratory experiments and numerical models of subduction. In particular, geodynamic numerical models of subduction demonstrate that back-arc extension at narrow subduction zones is driven by rollback-induced mantle flow. Observations of seismic anisotropy—the directional dependence of seismic wave speed—provide us with tantalizingly direct information about mantle flow direction. For example, crystals of olivine, which is the most common upper-mantle mineral, tend to become aligned by the mantle flow, and seismic anisotropy is an indicator of this alignment. To apply the laboratory-derived viscosity laws to nature, they must be extrapolated over 10 orders of magnitude, which introduces uncertainty. Moreover, it is unclear to what extent experiments on centimeter-scale samples are representative of the crust and lithosphere. The viscosity distribution of the lithosphere and the surrounding mantle is therefore one of the least certain parameters in geodynamics. Alternative ways to determine viscosity on geological time scales are thus needed. 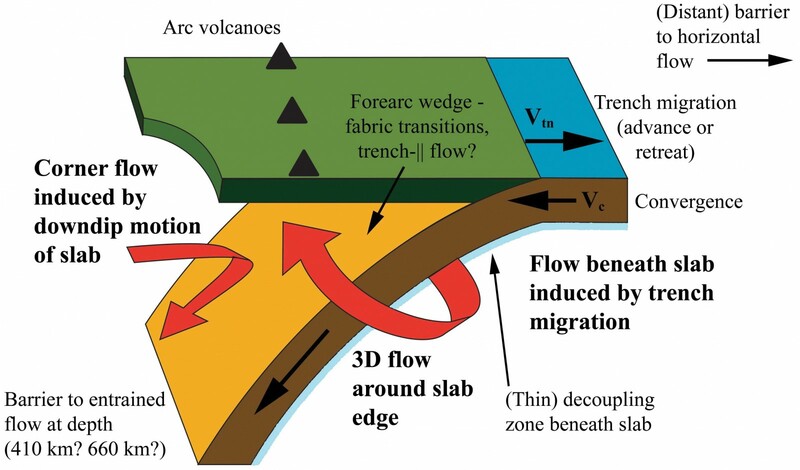 Schematic diagram of a subduction zone, showing the dominance of 3D flow beneath the slab and the competing influence of 2D and 3D flow fields in the mantle wedge. Credit: Long and Silver, 2008, Science. Writing in Earth and Planetary Science Letters, Király and colleagues present a cutting-edge numerical model that shows how the strength and length scale of the toroidal flow vary with the mantle viscosity and the magnitude of the slab pull force. Király and co-workers highlight some remarkable implications of these effects: around subducting plates, the characteristic length, axis, and shape of the toroidal cell are almost independent of the slab’s properties and mainly depend on the thickness of the convecting mantle. The independence of the shape of the toroidal cell on the slab width can appear controversial with respect to previous studies[6–7] that showed that the overall mantle flow is dependent on the slab width. However, as Király et al. point out, these differences can be explained with the model setup adopted and the range of slab widths investigated. In order to characterize the flow—in terms of its geometry and strength—Király and co-workers analysed the vertical component of the mantle vorticity as well as the ratio between the vertical and the trench parallel component of the vorticity vector. With a series of numerical experiments, they find that subduction-induced mantle flow is highly three-dimensional, and that the toroidal component is sub-horizontal with some vertical flow components. According to the authors, this vertical flow around the slab edges has significant implications, as it can be responsible for the presence of the off-arc volcanism around several laterally confined subduction zones. The numerical experiments by Király et al. represent another step forward in our understanding of how mantle circulation plays a relevant role in the shaping of tectonic features around subduction zones, and they provide evidence that the slab properties only impact the vigour of the flow around subducting slabs. The extension of these numerical experiments to a range of different parameters will allow for a fuller characterization of the olivine fabric, which in turn will allow seismologists to relate their measurements of seismic anisotropy to flow directions and, ultimately, to mantle processes. 1. Long, M. D., and P. G. Silver (2008), The subduction zone flow field from seismic anisotropy: A global view, Science, 319, 315-318. 2. Funiciello, F., C. Faccenna, and D. Giardini (2004), Role of lateral mantle flow in the evolution of subduction systems: insights from laboratory experiments, Geophy. J. Int., 157, 1393-1406. 3. Jadamec, M. A., and M. I. Billen (2010), Reconciling surface plate motions with rapid three-dimensional mantle flow around a slab edge, Nature, 465, 338-342. 4. Sternai, P., L. Jolivet, A. Menant, and T. Gerya (2014), Driving the upper plate surface deformation by slab rollback and mantle flow, Earth Planet. Sci. Lett., 405, 110-118. 5. Király, A. Capitanio, F.A., Funiciello, F., Faccenna, C. (2017). Subduction induced mantle flow: Length-scales and orientation of the toroidal cell. Earth Planet. Sci. Lett., 479, 284–297. 6. Funiciello, F., Moroni, M., Piromallo, C., Faccenna, C., Cenedese, A., Bui, H.A., 2006. Mapping mantle flow during retreating subduction: laboratory models analyzed by feature tracking. J. Geophys. Res., Solid Earth 111, 1–16. 7. Stegman, D.R., Freeman, J., Schellart, W.P., Moresi, L., May, D., 2006. Influence of trench width on subduction hinge retreat rates in 3-D models of slab rollback. Geochem. Geophys. Geosyst. 7.